The TTP-2410M series is available in a 300-dpi model (TTP-346M), which operates at speeds up to 8 ips and can be ordered either from the factory or as a field upgrade. An upgrade kit, which includes a printhead and firmware, takes 30 minutes to install. 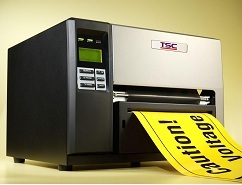 Also available as a factory option is a 600 dpi model (TTP-644M), which operates at speeds up to 4 ips. Both the TTP-346M and TTP-644M offer 32 MB SDRAM, 8 MB Flash memory and an SD card slot for expanded memory. 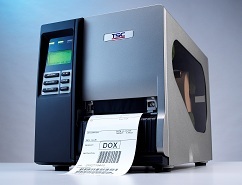 The TTP-246M Plus die-cast bar code printer is designed to meet the most demanding identification and labeling requirements – at an affordable price. It features a user-friendly 6-button display and side-load design; standard serial, parallel and USB connectivity; and optional Ethernet networking for simple integration with other devices.